CD60 capacitor are developed and researched according to standard of American Electronics Association (ANSI/EIA-463).The external case of the capacitor is made of bakelite plasticized that its character are not only good insulating resistance and strong resistance damaged but also protecting electro-liquid as good sealed feature. It is popular used for the super AC application as good life, higher degree of reliability and stability. 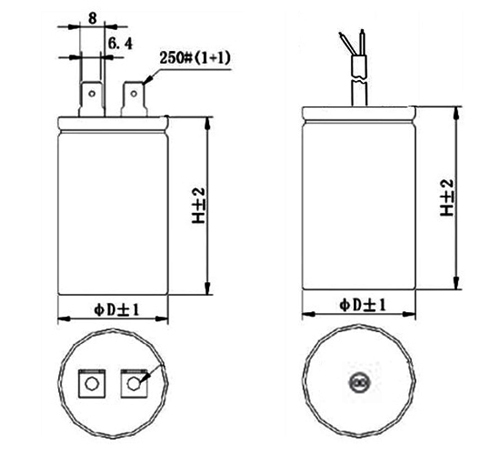 CD60 Capacitor applies to A.C.single phase motor, with frequency 50/60Hz,rated voltage 110-330VAC. lt can help motors gain high torque with low starting current and make motor start nomally. lt can also start to refrigerators and compressors of air condition ,etc.